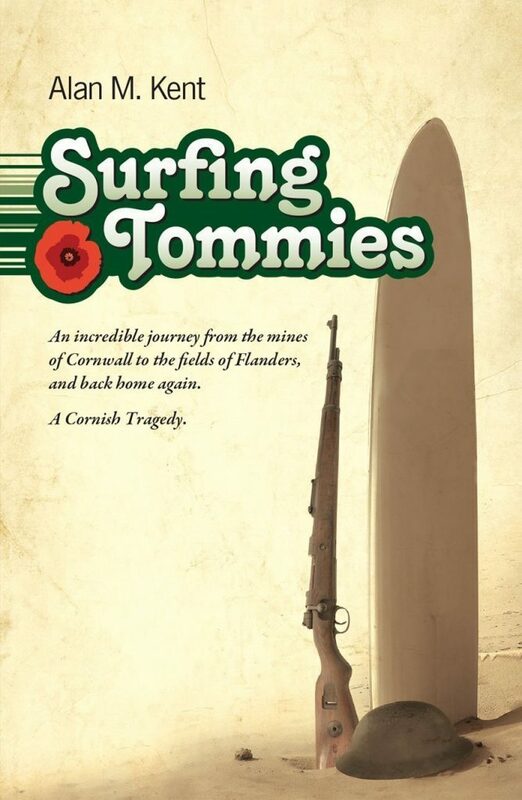 Surﬁng Tommies follows three men on their journey from North Wheal Leisure tin mine to the horrors of the trenches in the First World War, where Jimmy ‘Dunkey’ Tamblyn and John Henry Pascoe find themselves serving under the unbending Methodist mine ‘Cap’n’, William Tresawna. We learn of the lives of Rose Pascoe, John Henry’s widowed mother, his girlfriend and Maisie Pascoe, the present-day history student and surfer who uncovers the tragedy that transformed the lives of the characters. And along the way we discover how surfing came to Cornwall via the Western Front. Surﬁng Tommies is a poignant tale of war and friendship, but ultimately one of redemption, forgiveness and hope. Though set in the early twentieth century, this darkly mischievous play makes comment on current conflicts around the world, and what it is like to be away from where you d’belong t’be. Alan M. Kent was born in St Austell, Cornwall, in 1967. He is a prize-winning poet, novelist and dramatist and author and editor of a number of works on Cornish and Anglo-Cornish literature, including Looking at the Mermaid, a Reader in Cornish Literature 900–1900, two anthologies of Anglo-Cornish poetry, Voices from West Barbary and The Dreamt Sea, and an acclaimed translation of the Cornish Mystery play cycle, The Ordinalia. Two of his other plays are published by Francis Boutle Publishers: Oogly es Sin and The Tin Violin. Comrades in Conscience is a groundbreaking study of opposition to the First World War in one locality – Huddersfield – where a unique consensus of Nonconformist Liberals and a vigorous labour and socialist movement earned it the reputation of being ‘a hotbed of pacifism’. The story of the Socialist Conscientious Objectors of the First World War – and the women who supported them. Inside Merlin’s Cave contains Numerous poems, commentaries, prophecies and plays, including the full text of Thomas Hardy’s Queen of Cornwall, that establish Cornwall not just as the birthplace of King Arthur but as a source of all Arthurian themes.